FISHER, JAMES, surgeon, army officer, politician, and office holder; probably b. in Scotland; d. 26 June 1822 in Edinburgh. 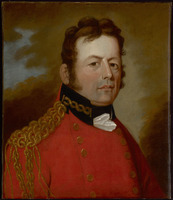 Like many of his colleagues who would leave their mark on Canadian medical history, James Fisher came to the province of Quebec with the British forces sent out during the American revolution. He had been appointed a hospital mate for the military hospital at Quebec on 1 Feb. 1776 and on 25 Oct. 1778 was made a garrison mate at Quebec by Governor Frederick Haldimand*. His services apparently were well regarded, since on 12 Nov. 1783 he received the post of garrison surgeon following Adam Mabane*’s resignation. In 1787 Fisher, like his colleague Charles Blake*, presented his views before a committee set up to investigate agriculture and suggest ways to increase the population. In his brief Fisher protested against the lack of regulations, which allowed anybody to take the title of doctor. He thought that a shortage of the disciples of Asclepius would be better for the health of the colonists than the proliferation of medical know-nothings. He was in favour of inoculation against the terrible ravages of smallpox. Finally, he proposed that medical boards be set up in the towns of Quebec and Montreal to conduct examinations and give doctors, surgeons, midwives, and apothecaries certificates to practise. In 1788 Governor Lord Dorchester [Guy Carleton*] promulgated a law on the practice of medicine that took these recommendations into consideration. From that year, Fisher was one of those who examined applicants for a medical licence. 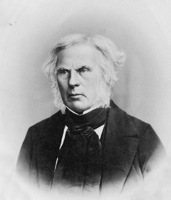 Fisher’s reputation grew steadily. He was in great demand and held several posts concurrently. In 1789 he became doctor to the Hôpital Général in Quebec. Two years later he went before a committee of the Legislative Council to give advice on the nature and extent of the Baie-Saint-Paul malady, as did his colleagues John Mervin Nooth, George Longmore*, John Gould, and Philippe-Louis-François Badelard*. In 1795 he appeared before the House of Assembly with Nooth, Longmore, and Frédéric-Guillaume Oliva* to give his opinion on a bill to quarantine ships suspected of carrying a contagious disease. Then in 1800 the government selected him to treat the inhabitants of Nicolet, Bécancour, and Jeune-Lorette (Loretteville), who had been stricken with an infectious fever. The following year he was appointed commissioner for the relief of the insane and foundlings. He became physician to the Ursulines of Quebec in 1807. 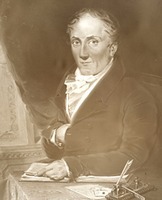 In 1812 Governor Sir George Prevost* offered to name him medical director for the military district of Montreal, but Fisher declined the post, pleading his age and infirmities. He recommended instead surgeon William Stewart, a suggestion that was accepted. Two years later Fisher was appointed commissioner for insane asylums. Fisher’s numerous occupations seem to have been highly lucrative and enabled him to lend £8,000 to various people between 1783 and 1802. Several loans were made to master-craftsmen and merchants, most of them Canadians, but Fisher gave the biggest ones to his compatriots. He moved in fashionable circles and had close links with the leading figures in the colony. He lived on Rue des Remparts in Quebec at first, and then moved to Rue Sainte-Anne early in the 1790s. He belonged to the Fire Society from 1790 and in 1797 became a member of the board of the Quebec Library. In 1794, concerned about the activities of French emissaries who had come to preach the benefits of revolution, he joined some fellow citizens in signing a declaration of loyalty to the British crown. Lower Canadian politics did not leave him indifferent. In 1796 he stood as a candidate in Northumberland riding. 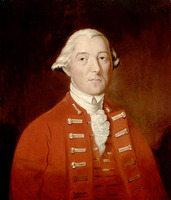 On 20 July he was elected to the assembly, where he sat until 4 July 1800 and supported the English party. Fisher retired from military service on half pay on 25 June 1815 and the following year returned to Scotland. He asked two medical colleagues, Joseph Painchaud* and Joseph Parant*, to look after his Canadian interests. When he left, the country lost one of its most eminent practitioners. Painchaud, who had known him well, said that he “was not a ‘learned’ man . . . but on the other hand he possessed great tact, good judgement, and an excellent memory, which, combined with experience, made him the greatest practitioner at Quebec.” Fisher must have been a highly competent doctor, judging by the extent of his practice and the reputation earned by some of his pupils: Painchaud, Anthony von Iffland*, François Blanchet, and John McLoughlin*. ANQ-Q, CN1-83, 8 août, 2 oct. 1783; 25 sept. 1786; 31 août, 5 sept. 1789; 16 juill. 1794; CN1-256, 12 août 1791, 11 janv. 1792, 1er mai 1795, 2 mai 1796, 2 mai 1797, 27 août 1798; CN1-284, 22 nov., 1er déc. 1787; 28 mars, 21 avril, 24 mai, 26 juin 1788; 1er mai, 1er juin, 25, 28 août, 10, 21, 23 sept., 2 oct. 1789; 1er, 5 mai, 19 juin, 5 août, 18 déc. 1790; 15 janv., 1er, 21, 26 oct. 1791; 22 oct., 26 déc. 1792; 12 févr., 6 sept., 31 déc. 1793; 2 mai, 26 juill., 20 août, 21 oct. 1794; 27 févr., 5 sept., 17 déc. 1795; 4, 8 janv., 17 févr., 8 avril, 13, 17 mai, 13–14, 27 juin, 22 sept., 12 nov. 1796; 6 janv., 30 mars, 24 juin, 23 sept., 24 nov. 1797; 11 juill., 6 août 1798; 25 mai, 12, 30 oct., 11 nov. 1799; 21 mai 1802; 5 avril 1803; CN1-285, 15 avril 1811. BL, Add. mss 21723: 10–12, 21, 56; 21734: 120–21; 21735:86; 21739: 180–85; 21745: 15, 46, 82. PAC, MG 11, [CO 42] Q, 23: 29; 27–2: 524–54; RG 8, I (C ser. ), 30: 57; 230: 144; 289–90; 372; 1168; 1170; 1218: 298, 322–23; 1220: 420. Quebec Gazette, 23 June 1785; 16 April 1789; 28 Jan. 1790; 26 Jan., 5 July 1792; 14 Feb., 13 June 1793;13 Feb., 3 July 1794; 26 March 1795; 26 Jan., 9 Feb. 1797; 2 April 1801; 16 July 1806; 7 April 1808; 22 Feb. 1810; 21 Nov. 1811; 30 Dec. 1813; 12, 19 Oct. 1815; 12 July, 8 Aug. 1816. Quebec almanac, 1791, 1794, 1796–99, 1801–13, 1815–16. Abbott, Hist. of medicine. M.-J. et G. Ahern, Notes pour l’hist. de la médecine. [Catherine Burke, dite de Saint-Thomas], Les ursulines de Québec, depuis leur établissement jusqu’à nos jours (4v., Québec, 1863–66), 4: 622–24, 633. Sylvio Leblond, “Une conférence inédite du docteur Joseph Painchaud,” Trois siècles de médecine québécoise (Québec, 1970), 56–65. “Les disparus,” BRH, 32 (1926): 173. Gilles Janson, “FISHER, JAMES,” in Dictionary of Canadian Biography, vol. 6, University of Toronto/Université Laval, 2003–, accessed April 24, 2019, http://www.biographi.ca/en/bio/fisher_james_6E.html.